Insulect works with rail operators and their service providers for both transport and haulage applications. We focus on electrical rail networks, increasing network efficiency through better asset management. Connecting your network to more sustainable solutions. Insulect has long worked in the rail sector: from transformer and generator products through to network electrification. We provide products common to many rail operations, as well as a number of game changing technologies that can significantly increase efficiency and reliability across rail networks, now and into the future. Monitoring power quality, faults and disturbances across rail electrical networks. Fleet management of all site assets, from protection and safety devices through to integrated monitoring. We specialise in solving demanding materials applications. 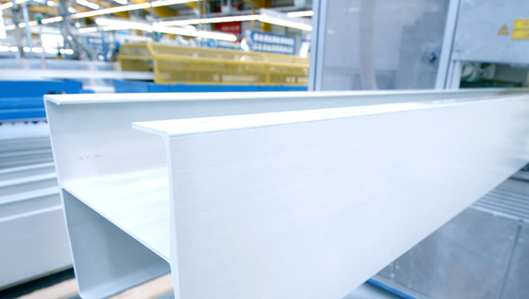 Our composite range is used in rolling stock and network applications. If you're interested in increasing network efficiency, Insulect offers many possibilities for you to explore. By combining our own experience in rail with industry leading technology, we are opening up new directions for many of our customers.